#0614* – INDEPENDENT MEP & UKIP Member RECRUITS FOOTBALL! 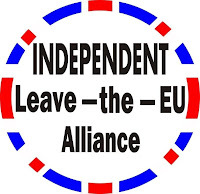 INDEPENDENT MEP & UKIP Member Nikki SINCLAIRE RECRUITS FOOTBALL as support and Publicity to Leave-The-EU and Highlight Local Issues via Sponsorship!!! 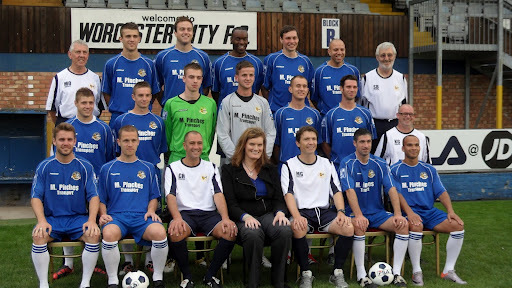 A local politician has taken unprecedented steps to support all of her local non-Premier League teams in the 2011/2012 season. Independent MEP Nikki Sinclaire has taken up sponsorship deals with 13 league and non-league football teams in her constituency, from the Championship to the Blue Square North, in a bid to back league football across the region. As a huge football fan, Nikki has decided to show her support to the teams in her constituency and has arranged a number of sponsorship deals which will cement her as a politician who is fully behind local football. One player from each of the teams will now be sponsored by Nikki Sinclaire for the season, and Nikki and her team are hoping that further links can be formed with the clubs throughout the season. Other planned sponsorship deals include match day sponsorships and match ball sponsorships. Nikki will use some of the corporate benefits of the sponsorship packages to raise money for charity. Since being elected as one of six MEP’s for the West Midlands region in 2009, Nikki Sinclaire has campaigned on a number of local issues including jobs, training, protection of greenbelt land and preservation of local communities. Nikki Sinclaire is delighted to be working with the various local clubs and said “Football is one of the bedrocks of our community and engages people of all ages. I think this is a worthwhile endeavour and wish all the West Midlands clubs success for the forthcoming season”. I see the Birmingham Post have carried this story in part CLICK HERE. I also see there is an item in The Sun regarding The Petition for a Referendum which has now reached its initial target and is moving on to even more signatures than the initial 100,000 I understand CLICK HERE. YOU can sign The Petition for A Referendum too! Make sure your friends and family sign on line or fill in the clip coupons in the various media that have carried the story and the adverts so far. 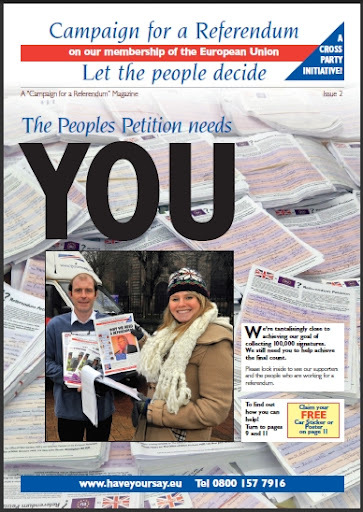 You can also download petition forms to sign up your friends – lets have a convincing result. I’m sure Nikki Sinclaire’s campaign would appreciate any help you can give it particularly when you consider she has funded well over 100,000 magazines mailed out at least that many and placed 10s of £1,000s of adverts – some with her own money, some with donations and some funded in part by other MEPs. What do YOU think of The Ad. Van Nikki Sinclaire has bought as a permanent advert on the roads for The Campaign? That cost money and I gather another £10,000 in donations would fund another one on the road – any offers?